What Does The Law Require When It Comes To Employers Providing References & Reference Defamation Suits? 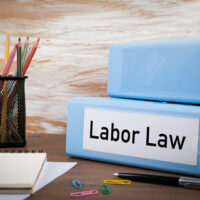 A recent controversy involving a teacher who left one school after there were allegations of misconduct—and then began working for a school system in Florida, and was accused of misconduct there—brings into question just what employee and employer rights are when it comes to policies on providing employment references and what are known as “job reference shield laws.” Employers who insist that it is their policy to only provide the job title, salary, and dates of employment are typically trying to protect themselves from liability. But when can they still be held liable for a reference? Florida, like states such as Virginia, has a job reference shield law which states that employers who disclose information about a former or current employee to another prospective employer upon request are immune from civil liability for such disclosure (or its consequences) unless it is shown—by clear and convincing evidence—that the information disclosed was knowingly false or violated any civil rights of the former employee. In addition, when it comes to certain types of employers (such as financial institutions), employers are also immune for providing any information about a former employee violating any law or regulation if reported to federal or state authorities. Another example of very specific immunity provided involves any employers who provide information related to particular criminal offenses or misconduct similar to what a background check would provide when the job being applied for involves working with vulnerable adults and/or children. However, this information is limited to very specific subject areas, such as reasons for termination and any information on disciplinary issues. If a former employer makes knowingly false statements or false statements with reckless disregard for the truth, they can be sued for defamation, regardless of the specific circumstances involved. It is the job of employers to ensure that there are policies on hand both protecting the employer and employee when it comes to providing references. When these policies are lacking and/or when an employer crosses the line and behaves maliciously, which results in a former employee missing out on a prospective employment opportunity, there are legal claims available to the former employee. One option is to demonstrate that those statements made in the reference were both false and damaging. Be wary of any employers who ask that you sign a waiver or release giving up your right to sue them so that they can provide you with a reference; if the time comes when you would like a reference from that employer, but they have a policy in place preventing it in order to shield themselves from a lawsuit, you can always work with a labor law attorney then to waive certain rights at that time in order to obtain that reference. If you have been denied employment benefits due to a reference provided by a previous employer, you can challenge whether or not this reference was provided in good faith. There are protections available when it comes to unlawful discrimination and/or retaliation. Contact experienced Florida labor law attorney Robert Norell today to obtain additional information.